What does it mean to “treat” water? Today we’re featuring a blog post from Healing Waters International. 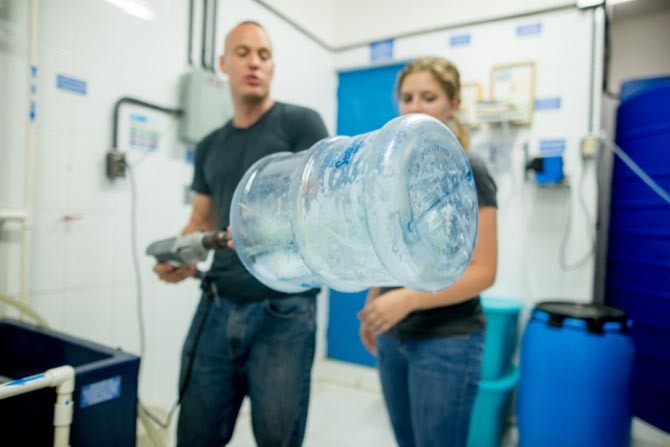 In it, you’ll see how Healing Waters defines clean water, develops filtration systems, and communicates the importance of purified water in a different cultural environment. On the surface it seems simple: “Treated water” is that which has been made safe to drink through some form of processing. This is presumably desirable for human health and global development. If treating water means adding something to it, additional questions ensue: Is the additive (say a disinfectant such as chlorine) good for the body? Is it affordable and accessible? Will its taste dissuade would-be beneficiaries from drinking the water? Conversely, if something is being removed from the water: Are healthy constituents like ions and minerals also being taken out? And, if harmful contaminants are being isolated and removed, where are they going? Finally, in all scenarios, what energy source powers these processes? Is it clean, affordable, and sustainable? At HWI, we challenge ourselves to design and deliver long-term, safe water solutions that provide optimal benefit to marginalized communities by addressing each of these questions in the process. Providing satisfactory and culturally relevant answers to these questions became especially significant for HWI when implementing a safe water project in Chichicastenango—the last stronghold of “Mayan Law,” or traditional indigenous rule, in the otherwise politically modernized nation of Guatemala. Like many indigenous cultures around the world, Mayans in the highlands of Guatemala think of water as a sacred resource, coming from Mother Nature. While this worldview facilitates conservation efforts (in Chichicastenango it’s illegal to wash cars, except on certain days, or own a swimming pool), it can also create doubt regarding the need for, or benefits of, “treating” water before drinking it. 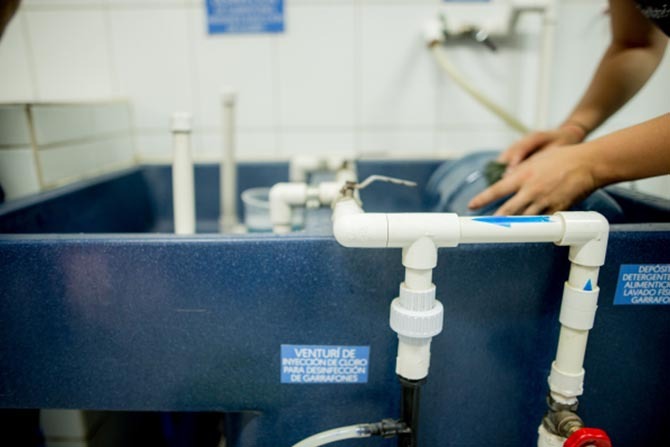 Tragically, statistics indicate that the need to disinfect or purify water prior to human consumption is in fact urgent and widely unmet in the highlands of Guatemala. In Chichicastenango, the child mortality rate is nine times that of the US, these fatalities due primarily to waterborne disease. One of the biggest challenges in making WASH (water, sanitation and hygiene) projects truly impact the lives of the intended beneficiaries is ensuring that community members actually use the solutions offered. When HWI first launched the Chichicastenango project in 2015, we were excited to change and save lives. But at first, few people were interested in drinking the “treated” water that the project supplied. Elders in the community told people that “natural” water from the earth was better for them. 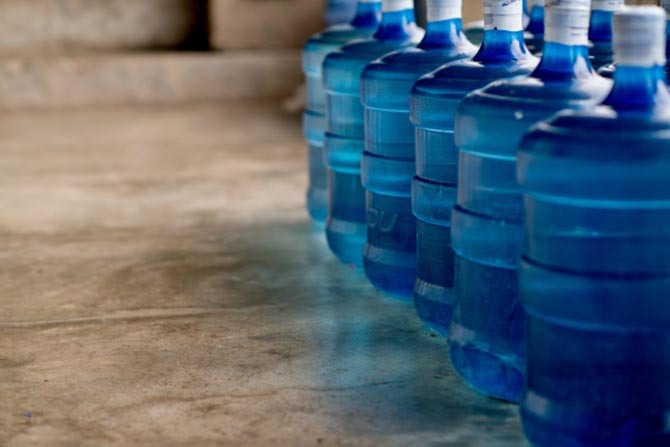 Rumors even began to spread that the treated, bottled water caused cancer! We had to go back to square one, and work with the community to understand how natural, healthy water gets contaminated causing waterborne disease, and how the water purification technology used by our project actual restores that water to its prior natural state. HWI’s safe water projects use separation membrane technology, primarily ultrafiltration membranes, to purify water. Ultrafiltration is like a microscopic colander. It doesn’t add anything to the water: no chemicals, no bleach. It doesn’t alter it; it doesn’t take out minerals or ions (like calcium and magnesium). It literally lets the water pass through, unharmed, while straining out everything that doesn’t belong: bacteria, viruses, and particulates. The water is restored to the crystalline state it would have been in when first coming out of a sacred mountain spring. Ultrafiltration makes the pure water of nature available to humans even when living in unhygienic and polluted villages. As part of a HWI purification system, water also passes through a bed of “activated carbon”—basically ground-up charcoal. This natural substance adsorbs gasses and organic molecules from the water—it gets rid of hydrogen sulfide, chlorine, and contaminants from domestic, cosmetic, and even pharmaceutical products that find their way into bodies of water. The same process of adsorption occurs when water flows over moss and leaves in a streambed. Early Americans claimed that water would be clean again, ten miles downstream from where it was dirtied by human activities. Both ultrafiltration and activated carbon rely on natural processes; they simply compress and accelerate them. Today, the safe water project in Chichicastenango uses the slogan, “Mejor Calidad, Mejor Sabor, Mejor Precio:” Better Quality, Better Taste, Better Price. Sales of purified, bottled water (priced affordably for even the poorest community members to have access) continue to grow. The community understands that the water supplied by the project is in its natural state, free of contamination, as nature intended.